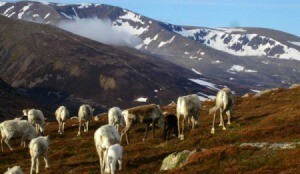 My niece works as a reindeer herder in the Cairngorm mountains in Scotland. This is a photo of some of the mothers and calves being herded up to higher ground, where they will spend the summer months. 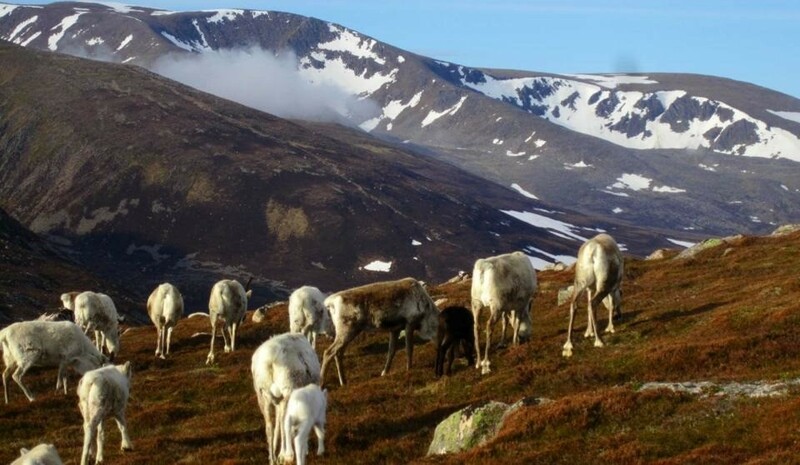 Reindeer were re-introduced to Scotland from Sweden in 1952 and there is now quite a large herd. They are very friendly and docile animals and very popular with visitors. That is awesome! I would have loved to do something like that when I was young.